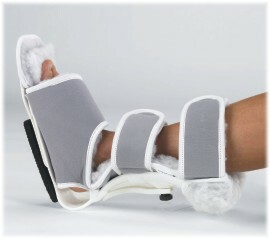 LARGEST SELECTION of discounted Multipodus Boots, Multi Podus Boots, Multi Podus Splint Support Braces, Multipodis Braces. LOWEST SHIPPING COST GUARANTEED. 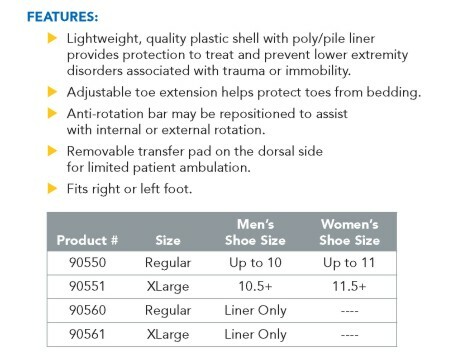 The Procare Podous Boot is very well designed. It cradles my calf just right, while two straps securely holds my foot at a 90-degree angle. The "kick-stand" feature keeps my whole leg steady in an up-right position. Overall it is comfortable to wear for long periods of time. I was very happy to find it at this price too! And it arrived shortly after I ordered it. My mom has MS for 12 plus years. She uses the boots to help keep her legs straight and they help reduce fluid. The boots arrived in perfect time. The fit is awesome. The price was beyond right. I saved $80. We are very pleased.